Okinawa Gojuryu was founded by Chojun Miyagi Sensei. Chojun Sensei was born in the Higashi Machi district of Naha City on April 4, 1888. At the age of 14, he began to train directly under the supervision of Naha Te founder Kanryo Higaonna Sensei. At that time Kanryo Sensei had already travelled to Fuzhou and studied Chinese Kenpo and was teaching the young men of Naha. When he was 20 years old (1908), Chojun Sensei joined the 6th infantry division. He served for 2 years leaving the military in 1910. Around 1914 he took an ailing Kanryo Sensei into his house until his death the following year. In the same year Chojun Sensei travelled to Fuzhou, China where he observed the world of Chinese Kenpo. In 1918 Chojun Sensei began instructing at the schools beginning with the Naha Jinjou Higher Elementary School and expanded his Karate teaching role to include the Teacher's College, Naha Commercial High School, and the Police Training Academy. In 1927, he held a Karate Seminar at the University of Kyoto and followed this up with seminars to spread Karate at Kansai University, Ritsumeikan University, and Hawaii. When one of his top students, Jinan Shinzato Sensei took part in the All Japan Budo Commemorative Demonstration, he was asked what style he practised. Based on the hard and soft breathing in the style he named the style Gojuryu. 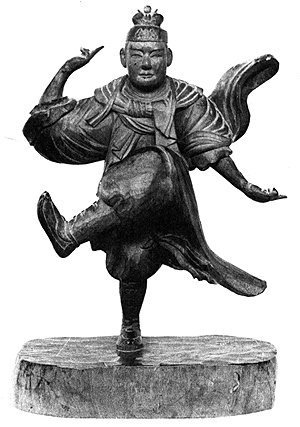 With that the first karate style in Japan was born. 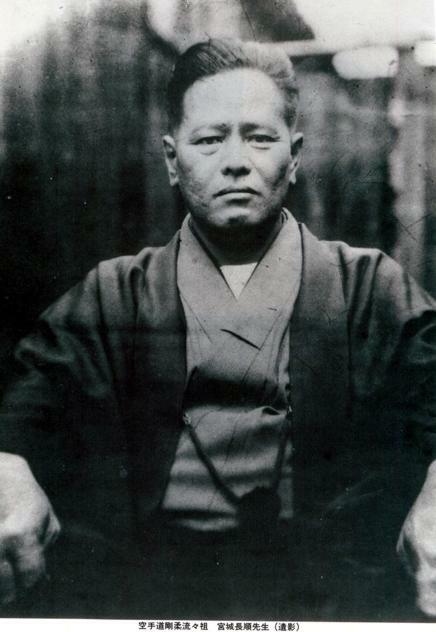 Following the death of Chojun Sensei in 1953, many students have continued to spread and develop Gojuryu throughout Japan and the rest of the world. In a meeting of the Okinawa Gojuryu General Committee in 1954, Chojun Miyagi Senseis wishes were fulfilled when Eiichi Miyazato Sensei was chosen as his successor. Because Miyazto Eiichi was Miyagi Sensei's assistant, upon the death of Miyagi, Miyazato was appointed to instruct Karate, Judo and arrest techniques at the police academy as well as instructing at Miyagi Sensei's Garden Dojo. In 1957 as a tribute to his teacher, Miyazato Sensei built The Jundokan (the school of my father) in the Asato district of Naha City. The doors of The Karate Dojo opened in 2002. The name came from the book "The Karate Dojo" by Peter Urban. Barbara Cruz is the head instructor at The Karate Dojo. Barbara has been training and studying karate for over 25 years. Her instructor is Sensei Chuck Merriman, 9th dan Okinawa Goju Ryu. 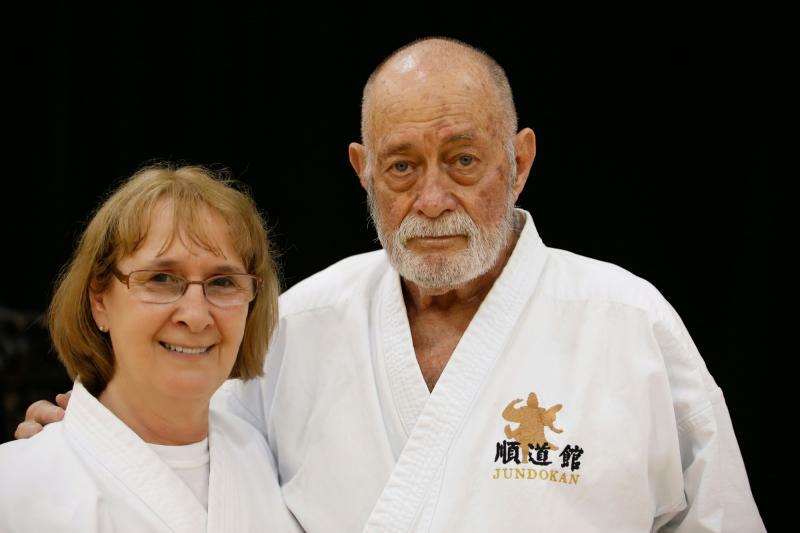 As a student of Sensei Merriman's, Barbara has had the opportunity to train at The Jundokan. 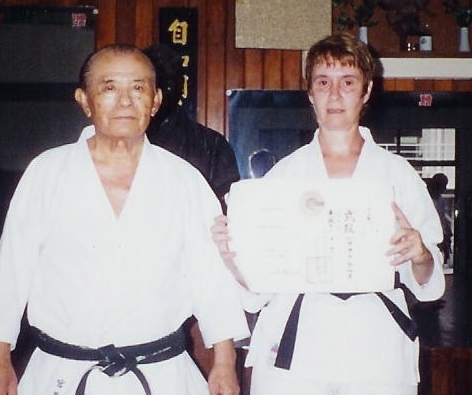 She was fortunate to have spent time training with Miyazato Sensei before his death in 1999. Barbara continues to travel to Okinawa as often as possible to train at The Jundokan with the Senior students there. Barbara Cruz with Miyazato Sensei at The Jundokan. Barbara Cruz with her instructor, Sensei Chuck Merriman.